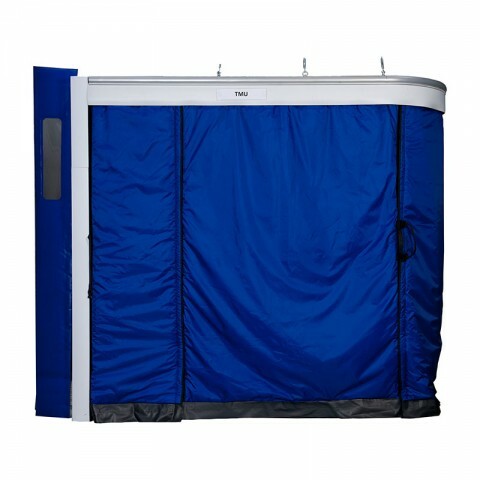 An instant chill space that be operational in minutes – and folded away even quicker. 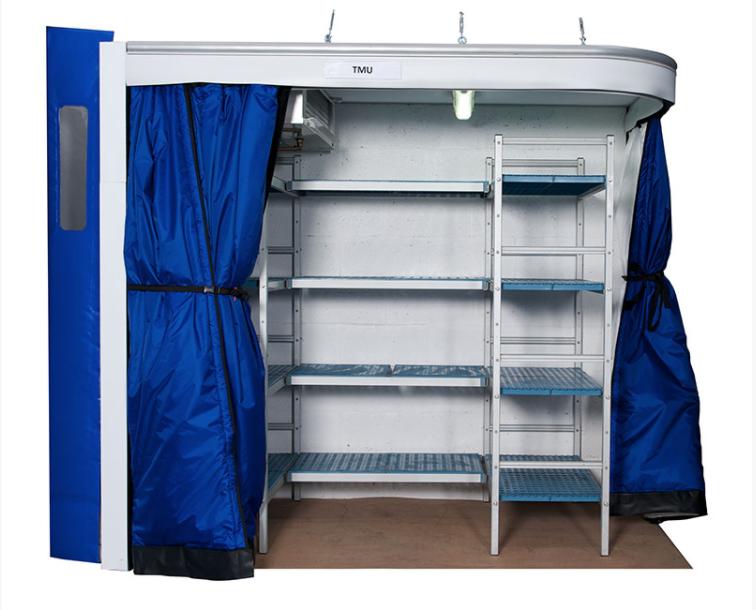 Perfect for temporary storage space during cold room refurbishment or replacement – your products remain protected and chilled or frozen. 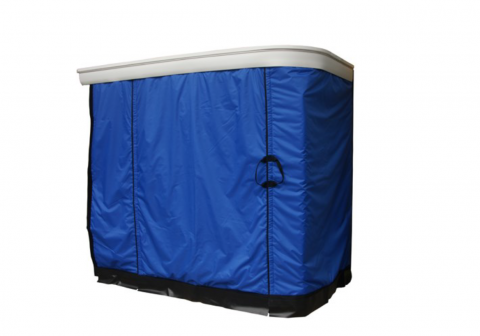 • Creates an instant chill space, only when you need it. • Provides 2C in under 15 minutes from our 13amp fast draw-down evaporator. • Track-Rack shelving can be added to maximise storage and temperature control. • Requires little service and maintenance, and minimal capital outlay. Also available with interlocking shelving!